Please send you enquiry by filling up this form, we shall call back. Online Computer Teacher conducts coaching on all these topics in Kolkata based various coaching centers. 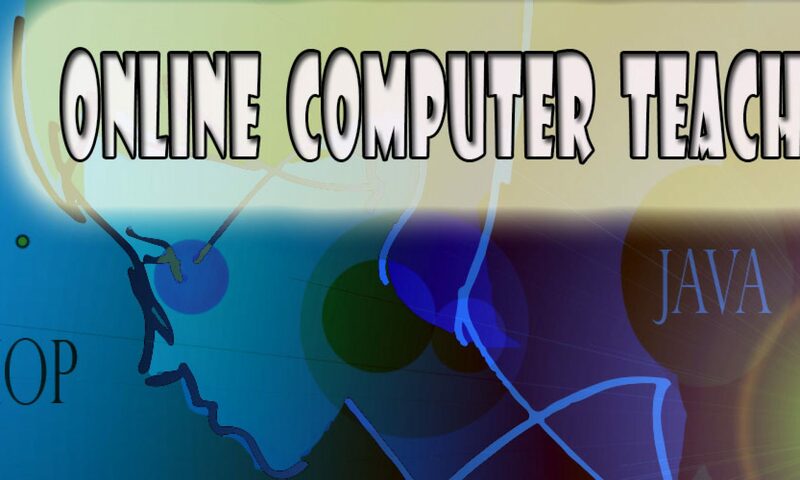 Also we conduct live online computer tutorial classes for distant learners. Know more about our tutorials, courses & tutors. 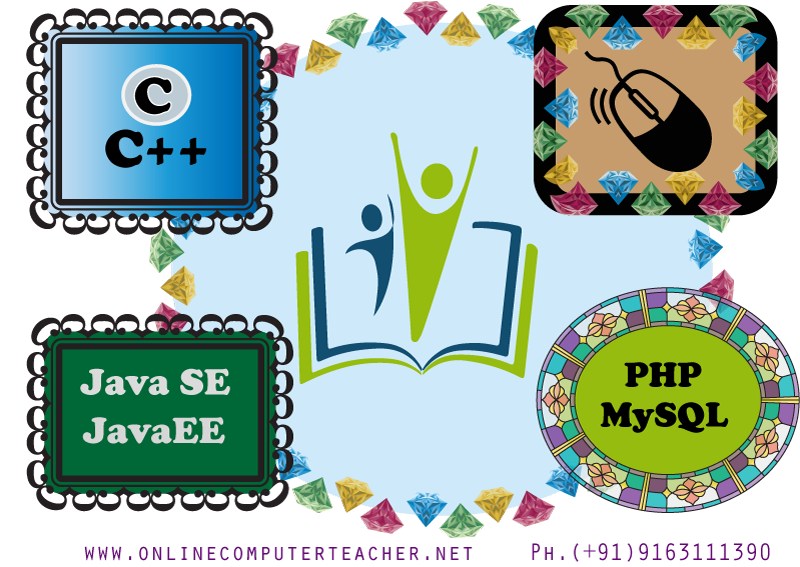 We conduct C programming courses, C++ courses & Java courses in Kolkata for the school students (CBSE, ICSE, ISC, West Bengal Board & International schools) & B.Tech students of CSE EE ECE stream candidates. You will get more information about our C C++ Java tutors here. Also we provide C C++ Java programming home tutors, computer science tutors, home tutors for B.Tech Computer Science & Engineering CSE students, C C++ Java teachers for school students, B.Sc IT / computer science, BCA MCA, Diploma Level (Polytechnic students) & M.Sc IT students. Know about our Java courses. Get private coaching on Computer Science subjects in Kolkata, for school students of CBSE, ICSE, ISC, West Bengal Board & International schools like World Schools of Oxford / Cambridge board. In different locations of Kolkata we conduct classroom coaching for school students, also we provide home tutors for computer subjects like C++ & Java DBMS & MS Office. “Online Computer Teacher” conducts various Graphic Designing Courses as follows – Adobe Photoshop courses in Kolkata, Adobe illustrator courses, CorelDraw courses & Web Designing courses. In Graphic designing coaching classes we teach Photoshop, Adobe illustrator, CorelDraw, Inkscape, GIMP etc. Also we provide Photoshop home tutors & Photoshop Online Tutors . To become a professional web designer & to clear your base in web designing follow our website designing courses. Our web designing teachers in Kolkata are professional web designers & they teach HTML5 CSS3 Dreamweaver & lots of other contemporary web designing topics. You will also learn responsive web designing courses with Bootstrap, jQuery, LESS, SASS etc modern technologies in the same course. Also you can learn web designing online from online tutors. Learn Microsoft office packages from our expert MS Office tutors. This MS Office Package course is recommended for back office professionals & school students. Also we send home tutors on MS Office packages for the elder and veteran students. Online Coaching also available on MS Office Packages. If you have an interest in Animation you can start it with Adobe Flash or Animate CC. Beside normal frame by frame animation we also coach on Adobe Flash ActionScript programming. Adobe Flash is now called Adobe Animate CC. We also teach Computer Science subject papers like Data Structure, PL-SQL, Object Oriented Programming and Java C C++ PHP to the B.tech students, Master Degree students, to the school students of CBSE, ICSE, West Bengal Board..
About our tutors : At our various tutorial centers in Kolkata we provide Computer Coaching on the above metioned subjects, also we teach online. Our computer science & Computer programming teachers are B.Tech in CSE/M.Sc in Computer Sc. / M.Tech in Computer Science & Engineering.